A friend (Shelaf) posted on his blog and I found it worthy of sharing. In summary, download the App, recharge at least #50 on the App with your 💳, then, share your invitation link to your friends and you will earn #500 as for everyone who download the App and make a transaction, e.g. Recharge #50 on the App and #500 will be given to you free. Shelaf.com writes... If you are a blogger, webmaster or you have lots of fans on social media or in the group on messaging apps and you have not yet introduced Jumia One App to your audience, you are missing a lot. 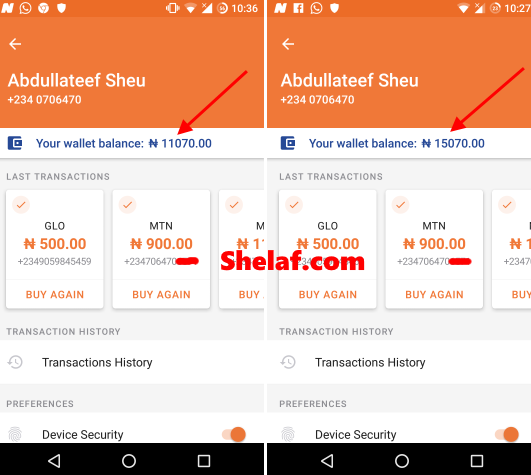 Jumia one App was promoted on this blog and in less than 48 hours in which the post was published, I made over ₦20,000! This is a great chance for you to make cool cash as you are reading this post. 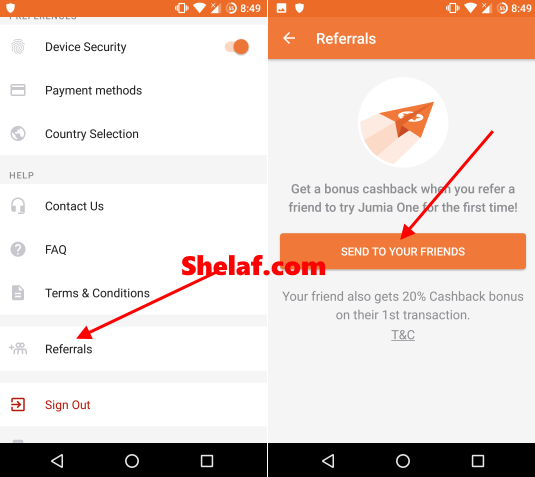 You too can earn even more than I do with these cash rewarding apps (Jumia One referrals campaign) if you apply the tricks accordingly. All you need is to start sharing your personalized referral code and reap the rewards by earning ₦500 for every person that signs up and recharges, provided the terms are complied with. So, start referring friends with your unique referral code and the referral bonuses will keep rolling in for you and the person you invited, once they make their first recharge! When someone uses your referral link to sign up, you get ₦500 on their first recharge and your friend get 20% Cashback or N500 welcome Bonus when they make their first successful transaction. This is how you refer a friend! People who will use your referral code will get 20% or 50% Cashback every recharge card he/she purchased and you’ll get as much as ₦40,000 airtime when you refer friends, following the Terms and conditions for referral campaign. How To Earn N500 Welcome Bonus Jumia One App? After you downloaded it, register with your real email address and recharge at least ₦50 through the app, in order to earn your welcome Bonus of ₦500 you have to recharge the minimum of ₦50, you will be giving ₦500 immediately you recharged successfully. Cashbacks are usually given within 24 hours. If after this period you have not gotten your referral bonus, please reach out to Jumia customer care.